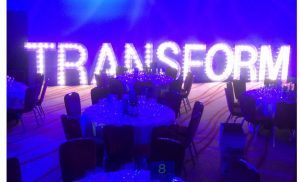 So you’re going all out to celebrate a business success, or perhaps you want to transform a venue into a glamorous showcase to launch your latest product in style. 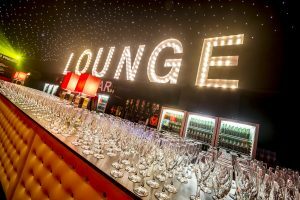 Whatever the occasion, you can have a lot of fun putting your stamp on a corporate venue with original, fun and memorable touches, making your event the party that everyone talks about for weeks and months to come. Here, we list some of our top tips to planning a corporate event. However strait-laced and proper your usual corporate style, you can afford to let your hair down a bit for a special event. Raise your guests’ excitement levels by creating a truly celebratory atmosphere; hand your employees confetti guns (the grown-up equivalent of party poppers!) and pop some corks to get the fizz flowing. Depending on the venue, you might even want to hand out sparklers. Then, why not take a special moment to congratulate your team? Announcing awards and giving special mentions to key staff members who have gone the extra mile to aid your success will add to the feel-good atmosphere, showing your employees that they are truly valued and celebrated. Perfectly planning a corporate event means providing a sense of occasion by decking out your venue with glitzy accessories. And what better way to celebrate corporate success than seeing your name in lights? Giant sized marquee letter lights can spell out your company’s name or initials (or any other word you fancy), showing the world that you mean business. What’s more, they’ll look great in photos and provide the perfect opportunity to snap VIP guests against your brand name – perfect for sharing on social media. Feature lighting, red carpets and ice sculptures are some other big ideas that will make your audience “ooh” and “aah”. If your party is a launch event to promote a new product, you’ll want to create the “Wow” factor, as well as reinforcing the brand message that you want people to take home. In order to cement your offering in guests’ minds, why not centre the party theme around a feature of your product? So, a book launch for a 1920s murder mystery could have an Art Deco theme, or a party showcasing a new perfume could mimic the product packaging in its décor. If your product isn’t as glamorous as these examples, you might just need to think outside the box a little – if you’re launching a new public information film you could have a Hollywood theme, for example. Follow the theme through to the last little detail, with drinks, canapes, decorations and entertainment all reinforcing the main motif. Part of the appeal of a corporate party is the promise of a perk or two. From free product samples to take-away goodie bags, there’s something irresistible about that feeling of being invited to an exclusive event and offered privileges that most aren’t privy to. Exploit that feeling in your guests and make sure they feel excited to be coming behind the scenes to celebrate with you. Complimentary samples, previews of upcoming new releases, freebies to take away – whatever you offer when planning a corporate event, make sure your guests feel they are being treated to something just a little bit special.